Click on Locations in the left-side menu. 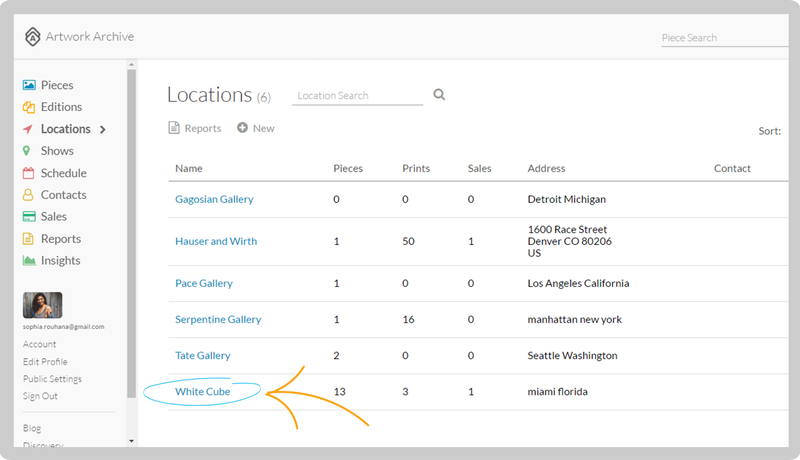 Select the Location associated with the Piece you want to create a Label for. Select the gray Reports button and select Wall Labels. 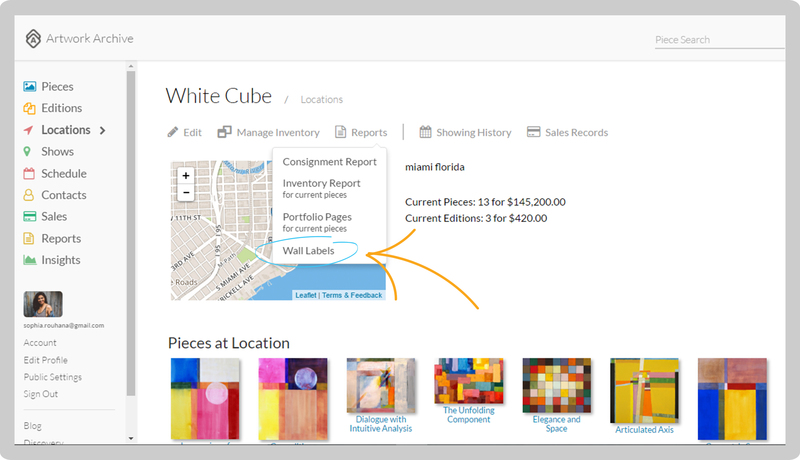 Check the boxes for which information you want to include on the Wall Labels for that Location and click Generate Labels. You will be redirected to Reports. Click on Wall Labels or the Download arrow to open a PDF.